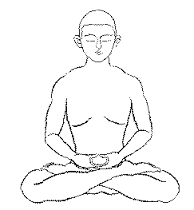 I am writing on behalf of the Georgia Buddhist Vihara to invite you to the next day-long vipassana (mindfulness meditation) retreat on Saturday, April 22, 2016 from 7:30am to 5pm. This one-day meditation retreat will be held at the Georgia Buddhist Vihara (3153 Miller Road, Lithonia, GA 30038). A one-day retreat setting is a great way to start your exploration of meditation practice, strengthen and enrich your existing spiritual practice, explore meditation practices from the Theravada Buddhist tradition, and explore firsthand the benefits of mindfulness meditation. The sutta/teaching that will be discussed is the Cūḷasaccaka Sutta (The Shorter Discourse to Saccaka), Majjhima Nikaya #35. You can access the sutta online here - http://www.accesstoinsight.org/tipitaka/mn/mn.035.than.html. Please print and bring a copy of the sutta to the Dhamma discussion. We look forward to seeing you on Saturday, April 22. I request that you RSVP (by email) in order to let us know that you will be joining us so we can adequately prepare for those who will be participating in the retreat. To confirm that you are planning on attending the retreat or if you have questions about this program or other programs offered by the Georgia Buddhist Vihara, please feel free to contact me by email at justinhowell2112@gmail.com. I hope that you will be able to join us for this auspicious day. If you are unable to make this retreat, please know that we will have regular, day-long vipassana retreats throughout the year. Additionally, I would encourage you to join the community for meditation instruction and Dhamma discussion on Wednesday evenings from 7:00 to 9:30 pm.